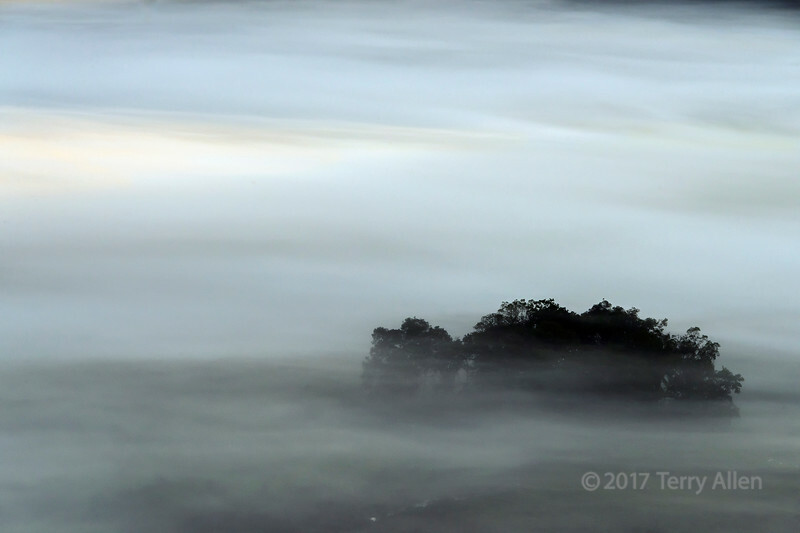 A small patch of trees rises above the swirling mists in Ngurdoto Crater, while the rising sun lights up a patch of mist in the upper left. Arusha National Park, Tanzania. Love the mistiness of this shot--and the trees peeking through. Wonderful atmosphere, such a beautiful scene! I love this! It's really dreamy! Beautiful...looks like the mist is rushing by, although at 1/400th sec. I guess it was not! Great mood!